Today we’d like to introduce you to Julie DeRosa. I have always been an artist. For many years during my 30’s I also struggled with mental health challenges that rendered something I love so much, virtually non-existent. It was my husband who ultimately encouraged me back into creating art. In 2009, I began with something simple; art journaling, which became a really great outlet for me for a few years. Eventually, I realized I was putting so much in the journals, and building up pages so much that I couldn’t properly close the books. I started to let myself imagine what it would be like to make sculptures. I had no experience, no woodworking or building skills but I did have a desire to figure it out. I started making work in late 2010, getting some woodworking training and encouragement from both my husband and father in law. I researched making molds and casting resin objects and started experimenting with that and I started collecting interesting found objects. Sacred Relic Studio was created in 2011. I hit the ground running and began showing work with any show that would let me in. My work was handled in a few local art gift stores and I created an Etsy shop, where I began selling my work. 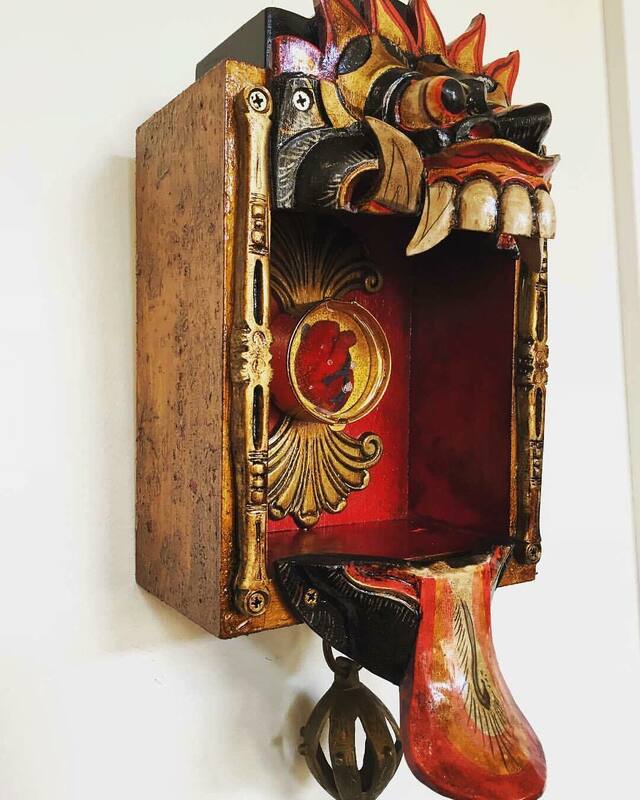 Through the years, I have refined my techniques, clarified my vision and gotten more and more comfortable making and selling work. The first solo show of my work was with AS220 in Providence in June 2017, and I continue to contribute and participate in gallery shows in Rhode Island and Massachusetts. 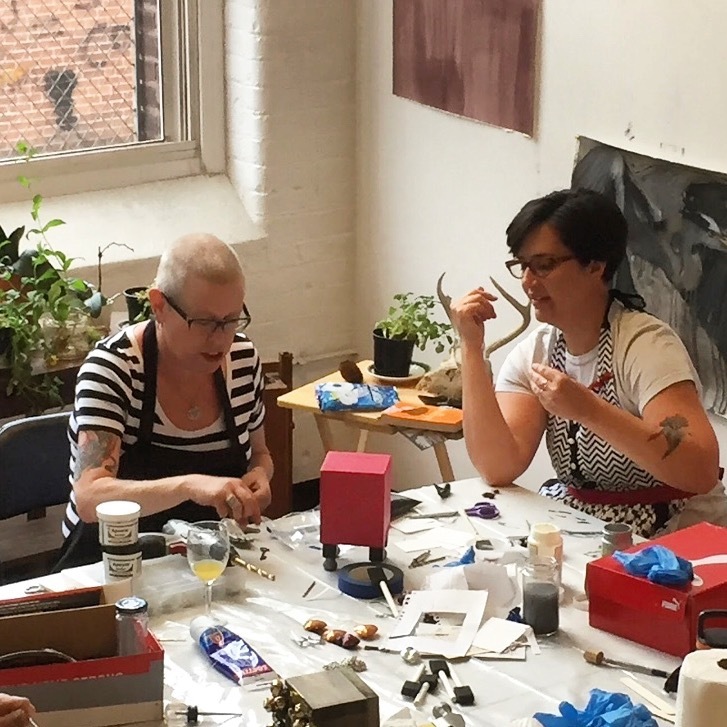 I have also begun offering workshops to teach people to build their own sculptures, and am in the process of facilitating a public art project. In my experience, nothing is without struggles. For me, building my confidence was a big hurdle, but also there were (and sometimes still are) huge learning curves in learning how to work with the various materials I choose to use. I think the biggest struggle of all for any artist is finding the time to work. When I began creating I was working full time in a career I was passionate about; mental health. I have since left that field, although I still consider a big part of my work in the world to be as an advocate and an educator. I began my own business in early 2017, as an artist assistant and although it is not a full-time venture, I love the work but it is often demanding and deadline driven so finding time to juggle that and my art practice is still something I constantly have to negotiate. So, as you know, we’re impressed with Sacred Relic Studio – tell our readers more, for example what you’re most proud of as a company and what sets you apart from others. 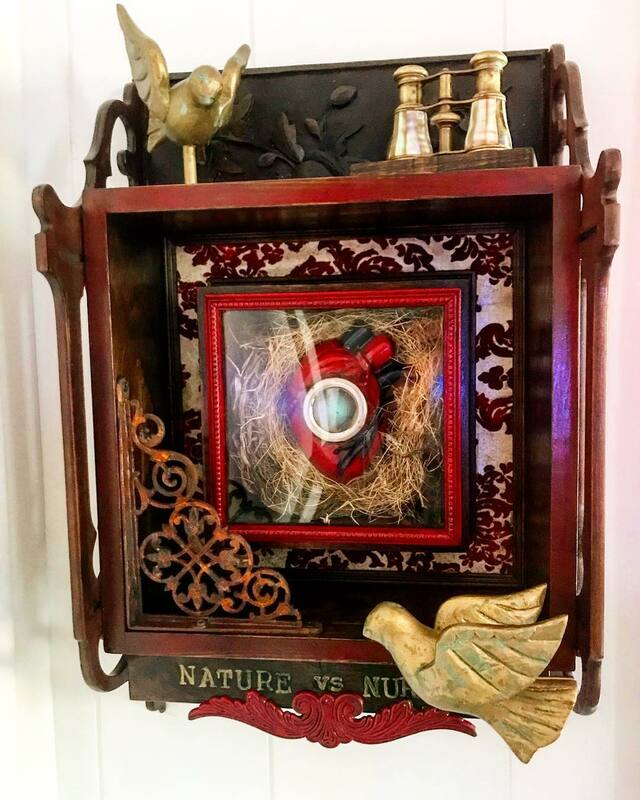 Sacred Relic Studio was founded in 2010 as a vehicle to create and share found object art with a twist. 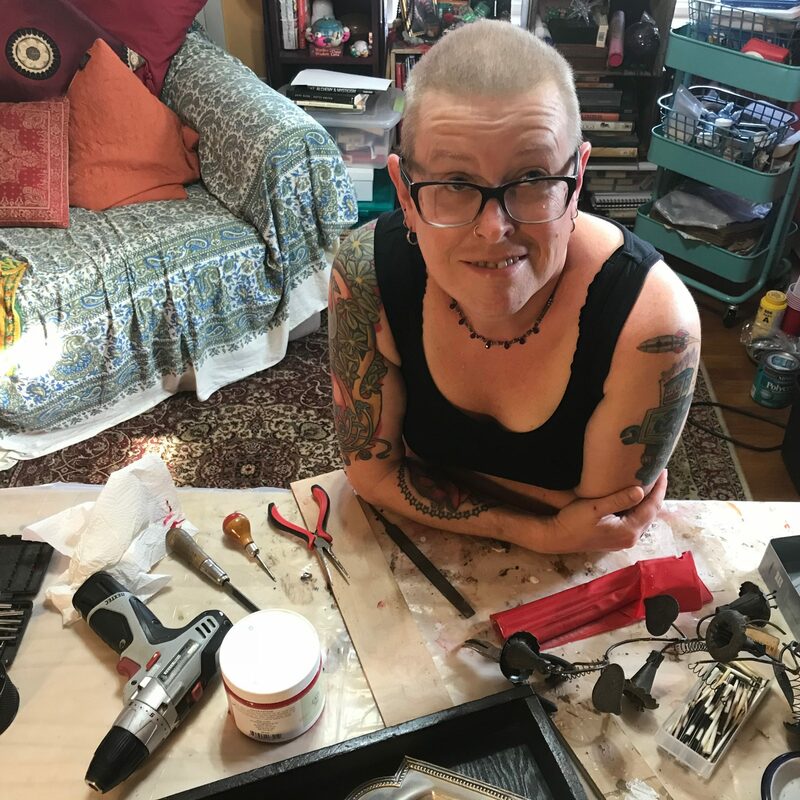 My particular twist is the themes that I explore and the fact that I create one or more of the elements I use in each piece by fabricating resin casts of an object. Earlier last year I was craving a way to combine my two biggest passions, supporting those living with mental health challenges and/or trauma and my art practice. I began focusing my work on creating sculptures that I call “Survivor Shrines”. These are sculptures that are similar in style, but all individual. It is my belief that we are all survivors; whether you survived divorce, illness, loss, trauma, high school…. there is much in life that we sometimes face that we are not sure we will get through. Survivor Shrines are a symbol and a reminder that we are resilient and have survived things that have transformed us. Surviving is often not pretty, it is messy and complicated, but honoring the self that has survived is radical self-love. 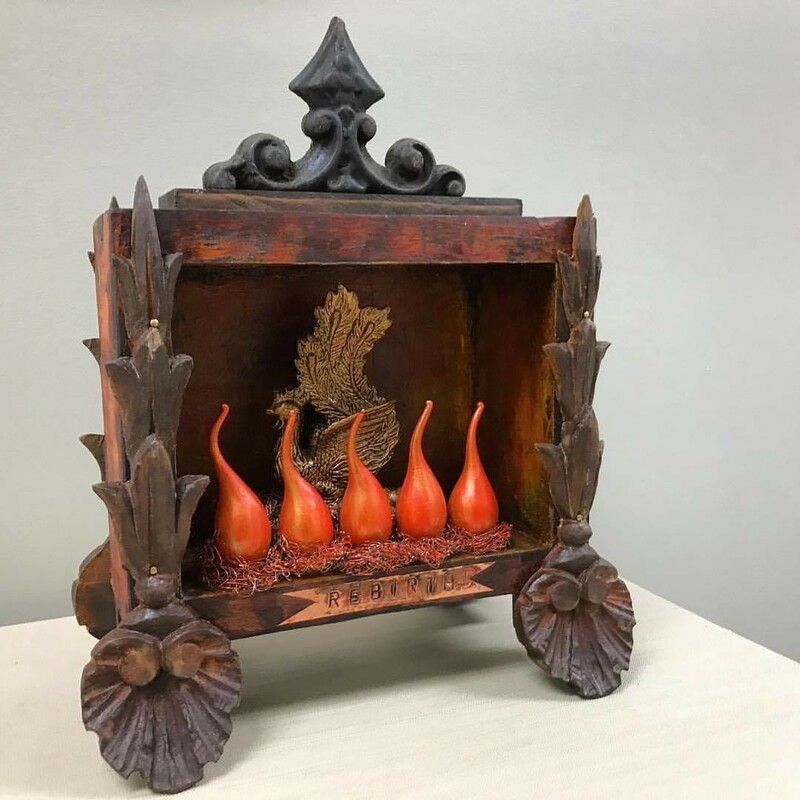 I had been creating these for many years, and selling them as fast as I was making them, I have always kept them under $100 so that they were not only accessible but also affordable. 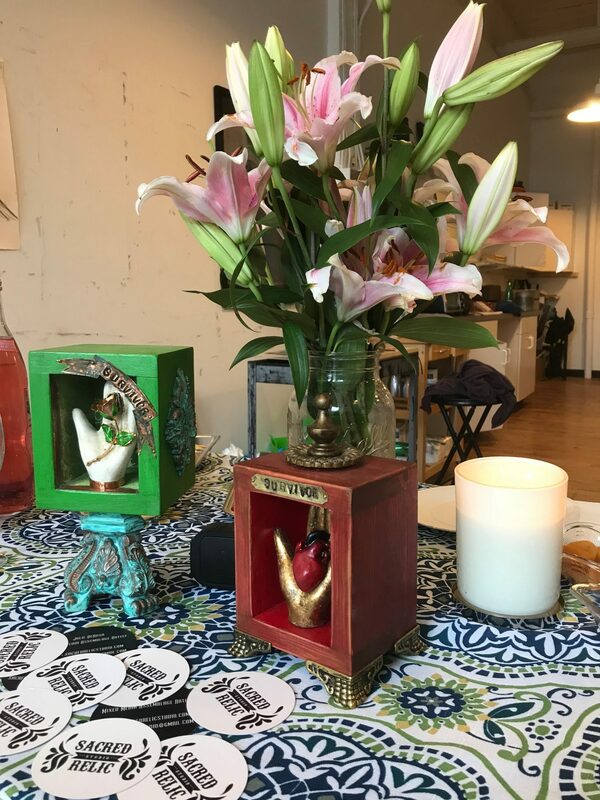 Late last year I began developing a workshop to teach others (even non-artists) how to create their own survivor shrines using personal, meaningful to them objects within the design. I gave my first workshop in June 2018. 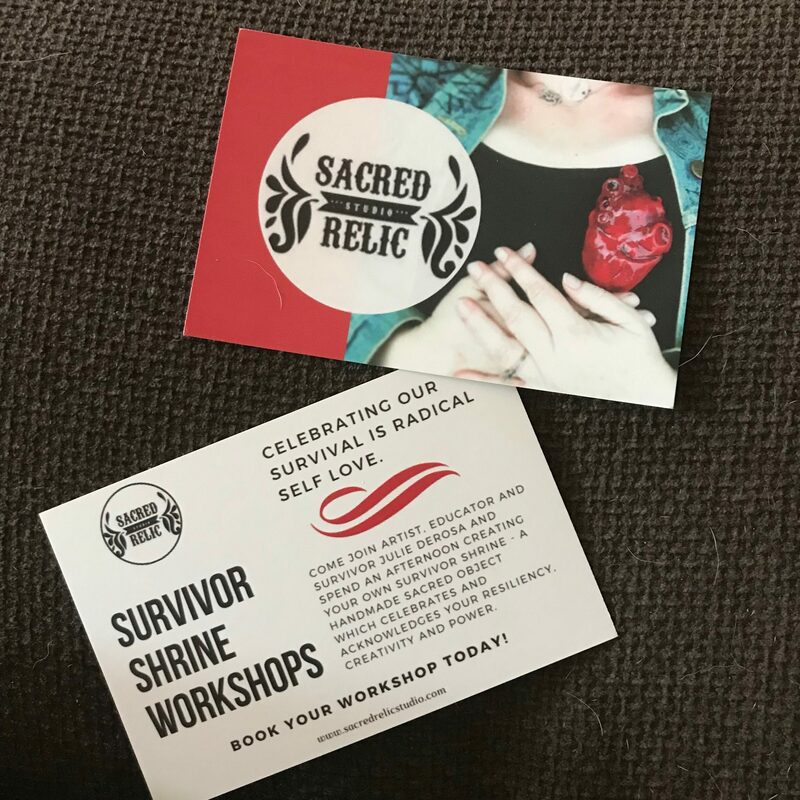 The workshops encourage healing through creativity, and we are able to process a bit of our experience with each other, but more importantly, we are able to celebrate that we are resilient and have overcome amazing challenges! 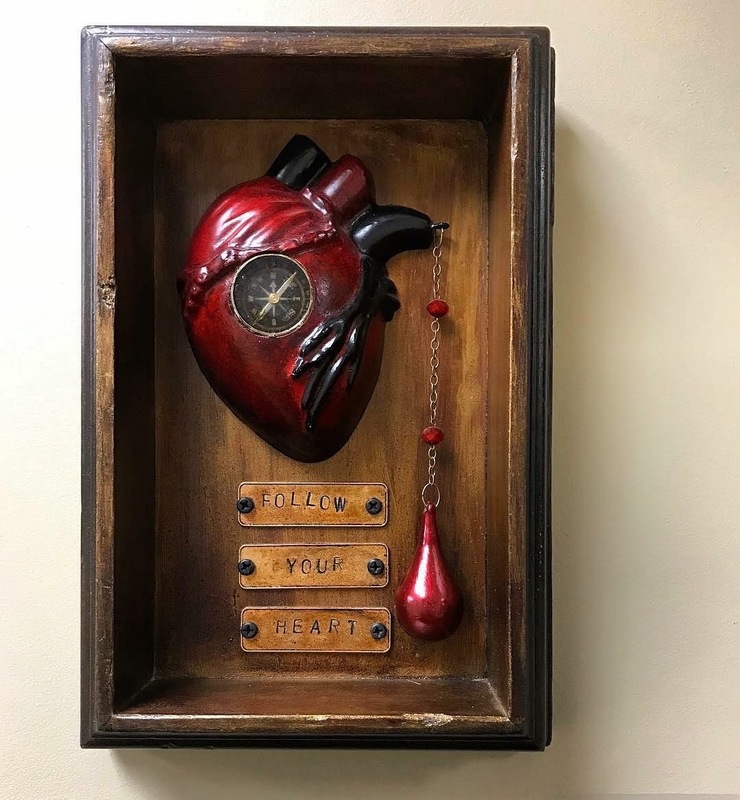 I suppose that most folks know my work because most of my pieces include a heart. Either anatomical or valentine, I love the symbology of the heart. I believe that creativity can heal our hearts. I know it has helped to heal my own. 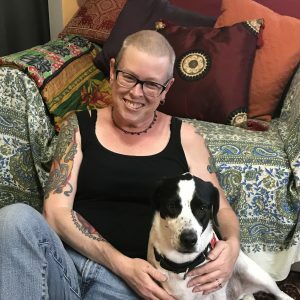 Currently, my focus has been on further developing the workshops to provide them to community organizations, as well as to continue to offer private workshops that address issues like pet loss, suicide loss, mental health and substance use, chronic illness survivorship, and various other topics.